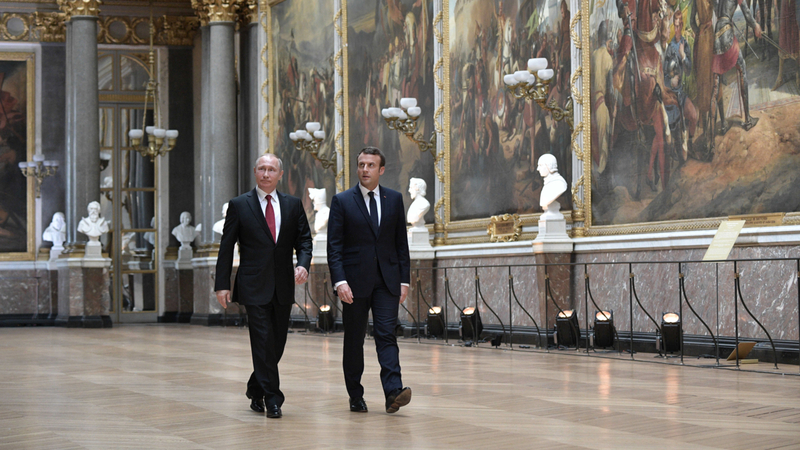 HISTORY LESSON: Russian President Vladimir Putin and French President Emmanuel Macron walk prior to their joint news conference following their talks at the Palace of Versailles, near Paris, France, 29 May 2017. Sunday 18 June marks the last round of this year’s French parliamentary elections, and is likely to give President Emmanuel Macron and his young movement En Marche even stronger popular support. But what can be expected on the international arena? Will France manage to obtain the international influence which has been of such importance for centuries? ‘The French–German axis has traditionally been a driving force in the European integration process, but it has weakened in recent years due to imbalances in French–German relations. Restoring this important axis is among the key foreign policy issues of En Marche and President Macron’, explains Senior Research Fellow Pernille Rieker of NUPI. Her most recent book, French Foreign Policy in a Changing World: Practising Grandeur (Palgrave PIVOT), offers an in-depth investigation of French foreign policy around the world. ‘Through five case studies, the book shows that French foreign policy is still dominated by the desire to play a role internationally – often referred to as French ‘exceptionalism’ or ‘grandeur’ – while French practices for achieving this have changed’, Rieker adds. Rieker’s research shows that status rather than power may be a more apt description of the country’s aspirations after the Second World War. President Charles de Gaulle referred to precisely the value of French history and culture for Europe in legitimizing his ambitions in foreign policy and for rebuilding French greatness and status in the postwar years. Greatness/grandeur still loom strong in French thought, and there is little to indicate that Macron will take a differing stance on foreign policy. ‘In the past, French policy was based largely on material power and clearly-defined national interests. Recently, France has been placing greater emphasis on its symbolic power – understood as the protection of liberal values. This change has come about gradually, but became especially evident during the war in Iraq, when France maintained its principles against intervention in Iraq because no mandate had been given by the United Nations’, Rieker explains. ‘Whereas France has traditionally stressed social mobility and competition in its relations with other great powers, and has therefore been seen as a difficult partner in many contexts, social creativity would be a better description for today’s foreign policy, where France focuses on being seen as the defender of the liberal order. Brexit and the election of Trump in the USA have also given France more room for playing this role. Macron has taken a clear stand against several points in the policies of the new Trump administration – and Norway has a longstanding tradition of consensus with the USA. ‘In times where the liberal project is threatened, it may be important for Norway to stay closer to actors who share our basic values. However, re-orientation towards France and Germany may be in Norway’s interest – but not at the expense of our relations with the USA. 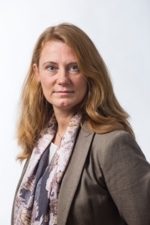 Moreover, also Germany and France want to stay on good terms with the USA’, concludes Pernille Rieker.